Find out more about the issues affecting WASPI women on International Women’s Day later this week. 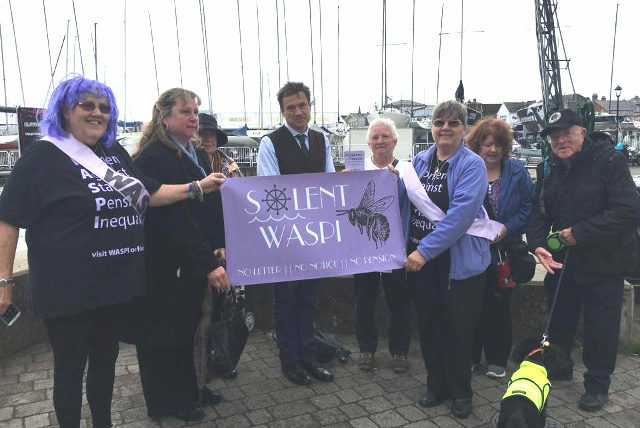 To mark International Women’s Day, the Isle of Wight WASPI Supporters Group will be at the top of Union Street,Ryde from approx 11.30am to 1.30pm. Come join us for a chat, to say hello, or find our more about Isle of Wight WASPI. If you can’t make on the say, find out more about the Island based WASPI group by visiting our Facebook page at or visit the main Website.